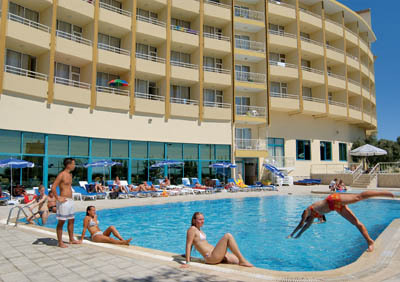 The Tanyeli Hotel is situated on the out skirts of Side. It offers a peaceful retreat, away from the centre of resort and close to sandy beach, which stretches for miles. 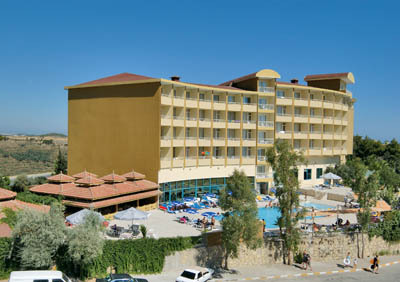 The complex is situated 5 km from the historical centre of Side (easily reached by local dolmus) and 8 km from Manavgat (easily reached by local dolmus). There are some local shops and bars within 500 meters. The airport of Antalya is 55 km away. 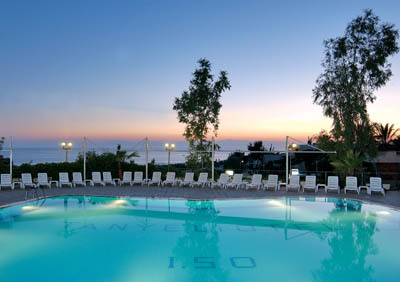 Reception * lift * indoor and outdoor restaurant * lobby bar * pool bar * beach bar (soft drinks only) * outdoor swimming pools * indoor pool * children’s pool * children's playground. 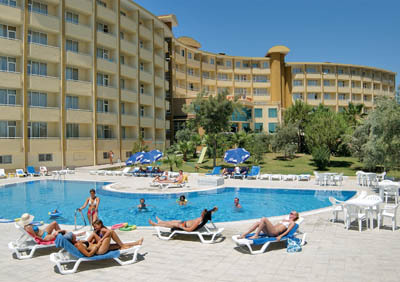 Sauna, Turkish Bath, massage, safe, fresh fruit juices, billiards, water sports, drinks in disco. Carpet * central-air conditioning * satellite TV * telephone * minibar (no filling) * bathroom with hairdryer * balcony * safety box /payable locally/. Wide private sandy beach with beach bar is just 200 meters away. Sun beds, umbrellas and mattresses available free of charge. Unlimited soft and alcoholic local drinks from 10.00 till 24.00 o'clock. .
Open buffet breakfast, lunch & dinner. Late breakfast, filled Turkish pancake “gozleme” from 11.00 till 16.30 o'clock. Snack in beach bar /12.30-15.00/. Afternoon coffee &cake from 16.30 till 17.00 o'clock, midnight snack from 24.00 till 01.00 o'clock.